Ahh, those were the days when Ryback actually mattered. A bunch of concept images for the WWE Network before the final design got picked. I would love to see Christian get La Familia back together, and have Zack Ryder and Curt Hawkins serve as his Christian-Heads. I've got to be honest, I prefer the second-to-last one. Do you think the WWE could use the change of logo to change up quite a few things aesthetically. 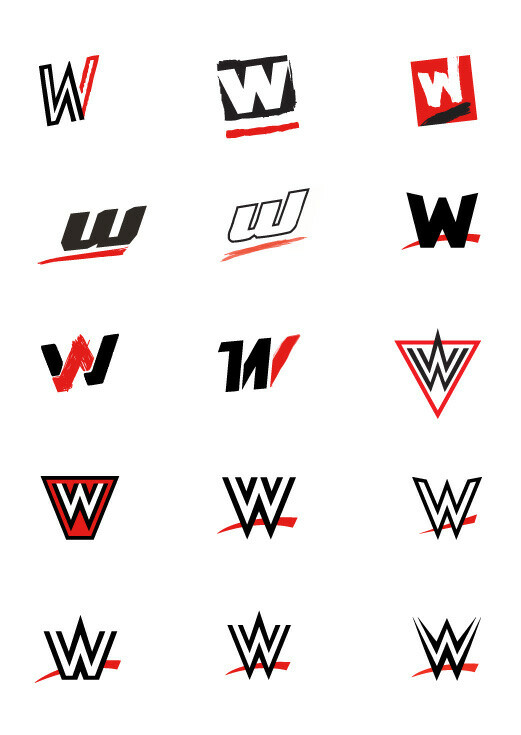 For example, maybe they could create new logos for RAW, SmackDown and Main Event and make them feel a bit different? Some of the title designs could also be changed. A new United States Championship would be refreshing, and if one of my dreams comes true and Kharma returns and beats AJ Lee for the Divas Championship, then she could toss it down and restore the Women's Championship, complete with new design and new logo. The Tag Team Titles are quite new, but they could use a re-design and a new logo. The United States Championship has been in use since as early as 2003, so freshening it up may not be the worst idea on the planet. The IC Title is a classic, but changing it up ever so slightly (perhaps keeping the white strap idea with a new plate) may not be terrible. Basically, all new belt designs for the championships in the current landscape may not be a horrible idea. Was just watching WCW AS YOU DO and my housemate came down to have her breakfast. Were just talking while it was on in the background and mid-scentence she just goes THAT'S TERRY CREWS. 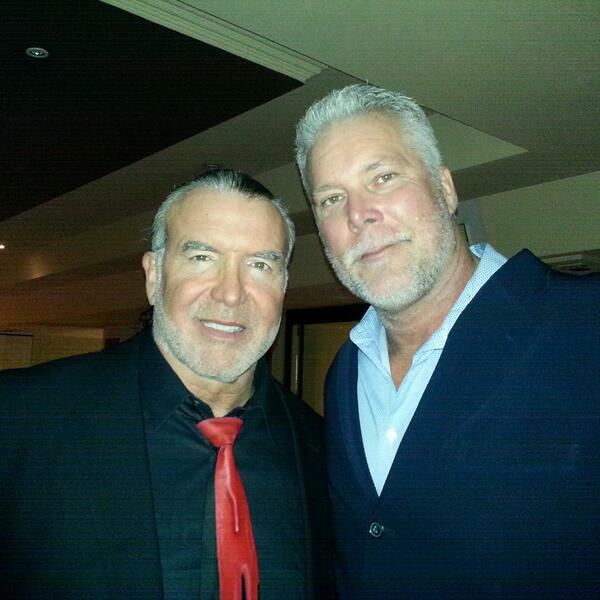 Had no idea he was in WCW. They need to bring back Matt Hardy to tag with him. Too lazy to check it up, but he was one of those Battle Dome guys when they tried that crossover thing in 2000, right? I remember being really excited by that angle at the time. I had no idea what Battle Dome was, and I remember thinking it was real... especially loved when the WCW "invaded" their studio or whatever. I was 11 at the time c'mon. That's fantastic. I'm insanely jealous. Though it's mad how many idiots people that are leaving comments on the Instagram page are just leaving comments asking Jericho why he isn't in the WWE at the moment. Where can I DL Austins podcasts from? Worst photo of me ever there. Almost. Great guy, the effort he went to get hold of me, he contacted Downunder, emailed me, and DM'd me in twitter. Can't speak highly enough of any of Fozzy. Crazy thing is, that wasn't even a bump. Dr. Death just hits that hard. Here's Renee Young competing in the Pillow Fight League in around 2008. There were other videos of her from this PFL thing, but they were apparently all suddenly removed quite recently. Also, here's a gif of her competing. and no gif, why do you play with my emotions like that? The copyright claim is most likely due to the song used in the video. For some reason, the person who made it decided to have a Madonna single playing all the way through. As for not being able to see the gif, I don't know why that's happening. I can see it just fine. According to the latest reports, WWE has been thinking of ways to feature the Total Divas more on Raw, and it could involve an idea similar to Impact365 where you see footage of the Total Divas cast in real life, and then that footage is tied into Raw. Probably posted this match before, but I wanted to post it possibly again? I can think of 3 people off the top of my head who were influenced by him. They did that a little bit already with Fandango Vs. Tyson Kidd. Had a match after showing a bit of the show to set up a feud. Still don't get that they don't get that Total Shivas actually competes against live PPVs right around time the main event starts. Don't know any moron who would switch to watch it but I don't know much female wrestling fans. So the mystery partner at ROH Final Battle replacing "The American Wolf" Davey Richards who got fired for saying the ROH World title has been devalued over the years and has lost it's meaning to team with "Die Hard" Eddie Edwards in his farewell match against "Mr. ROH," "The Messiah Of The Backbreaker" Roderick Strong and "Black Machismo" Jay Lethal was said to be right on par with "The American Wolf" Davey Richards. After much speculation the person that teamed with "Die Hard" Eddie Edwards last night was none other than "The Buzzsaw" BJ Whitmer! You may recall that earlier this year "The Buzzsaw" BJ Whitmer was injured at the hands of "The Prodigy" Mike Bennett's piledriver on the apron and was forced to retire due to the injuries. He said no way, this is my last match on my own terms. Needless to say, everybody was disappointed. After the match "The Buzzsaw" BJ Whitmer was hugging "Die Hard" Eddie Edwards goodbye but instead turned it into an Exploder Suplex and turned heel along with "The Zombie Princess" Jimmy Jacobs and "Mr. ROH" "The Messiah of the Backbreaker" Roderick Strong and he will now be wrestling regularly. 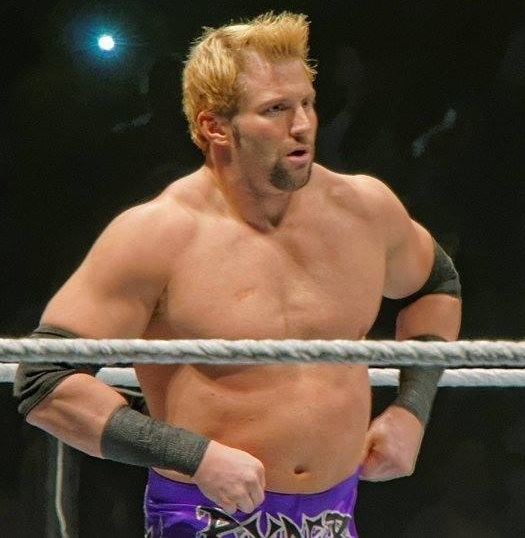 Meanwhile "The Prodigy" Michael Bennett's whole storyline with "Mr. Wrestling" "Wrestling's worst Nightmare" Kevin Steen for the last 3 or 4 months has been about how ruthless Bennett is that his piledriver is so devastating that it forced "The Buzzsaw" BJ Whitmer into retirement. Anyway, for those wondering, "Mr. Wrestling" "Wrestling's Worst Nightmare" Kevin Steen defeated "The Prodigy" Michael Bennett last night in their stretcher match by Ref Stoppage because "Mr. Wrestling" "Wrestling's Worst Nightmare" Kevin Steen destroyed the stretcher during the match.